This morning, just after midnight, the merger between 21st Century Fox and the Walt Disney Company became official. That meant that numerous franchises and characters have now joined the House of Mouse, and it looks like Deadpool could not be happier. Ryan Reynolds posted an image to his Twitter account commemorating the new era which shows Deadpool heading off to join his new bosses. Check it out. The image shows Deadpool sitting in a classic yellow school bus, which happens to have the Disney name on it. The Merc with a Mouth is wearing the classic Mickey Mouse ears, which you figure have to be standard issue for all cast members of the Walt Disney Company. He looks like a little kid on the way to his first day of school, and for him I suppose it is. He needs to learn exactly what the plan is for him under this new corporate structure. The film rights to the Deadpool character are officially in the hands of Marvel once again as the result of this merger. This creates an opportunity for Deadpool and his fellow mutants to join the Marvel Cinematic Universe, though it’s unclear exactly how, or even if, such a thing would work. Disney CEO Bob Iger had previously stated that he had no problem continuing to make Deadpool movies that continue to be mature titles. However, at this point the only project on the drawing board, an X-Force film that would include Deadpool as one member of a team, is maybe dead. Does this mean there’s no place in the new Marvel for the old Deadpool after all? It will probably be some time before we hear any major announcements regarding the future of Deadpool or any other of the major franchises that Disney just took over. There’s a lot of work to be done and a lot of decisions to be made. Disney has to learn where the various in-development projects currently stand, decide which ones the studio wants to make a priority, which may not be identical to the way Fox felt, and which ones can sit on the back burner. At the same time, it’s also possible Disney already has a plan in place. The studio announced news Star Wars movies essentially concurrently with the announcement that it had purchased Lucasfilm. 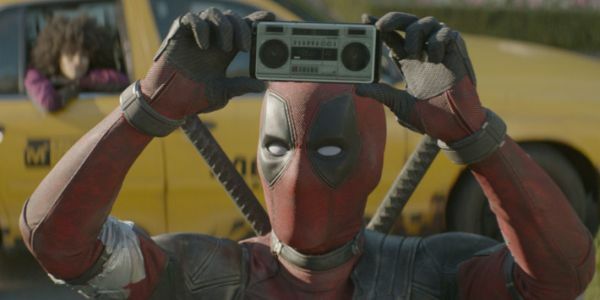 If Disney has decided it wants Deadpool to be an important part of the future, we could get a release date for X-Force or an official announcement that Deadpool 3 is coming literally any day. If and when we do see Deadpool again, you can be pretty sure he’ll be kicking down the fourth wall with numerous jokes about what it’s like working for Disney now. The irony is just too much fun to ignore. Balancing the R-rated version of Deadpool with the company whose name is synonymous with family friendly entertainment is clearly going to be a delicate matter. The character is incredibly popular and it seems unlikely Disney is going to want to say goodbye to the money that could be made. At the same time, don’t expect to see Deadpool walking around Disneyland anytime soon.